To put your new app onto your Android device, you can either save it as an APK file (the native Android application file format) or download your app directly using a QR code. Both methods are found in the Build menu (Figure 4). Using the QR method might be a little tricky, because you haven't generated your app yet, unless you've already downloaded one of a number of free QR code readers . Figure 4: App Inventer Build menu. Once your custom QR reader app is on your device, you can start customizing it to your needs. Figure 5 shows the basic app reading a 100x100 QR code used on an Arduino project. Some future considerations you might want to add to this simple app would be things like recording the geographic location of the device or validity-checking the data. Figure 5: Custom QR code reader. Projects with a lot of sensors or devices can benefit from QR codes that help identify and document how each device is used. If the device is a source of data, then a QR code could link to that specific device's data. 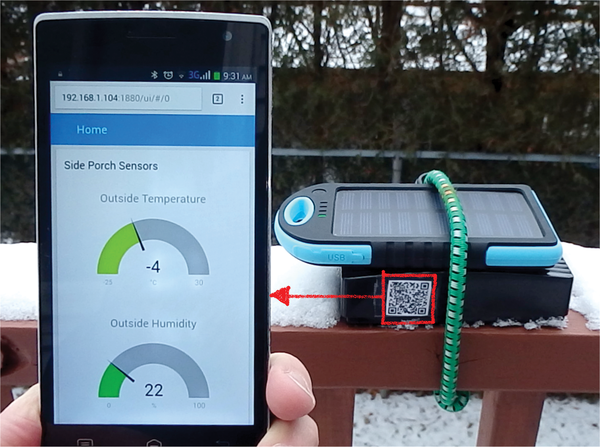 Figure 6 shows an ESP8266-based solar-powered Arduino weather device that uses MQTT to send data back to a Pi node running Node-Red . The QR code on the side of the enclosure links to the Node-Red web page. Figure 6: Custom QR code reader. Use an Arduino Mega to manage a 4-motor robot arm and a 2-motor car chassis. The MIT App Inventor package was used to create an Android app that controlled-the robot. Build an aerial tramway with a Lego Mindstorms NXT robotics kit and the MIT App Inventor web app, and control it remotely with an Android phone. Getting a handle on Arduino boards can be difficult. Luckily, quite a few block-based, Scratch-like programming environments are at hand that make the learning curve easier to climb.